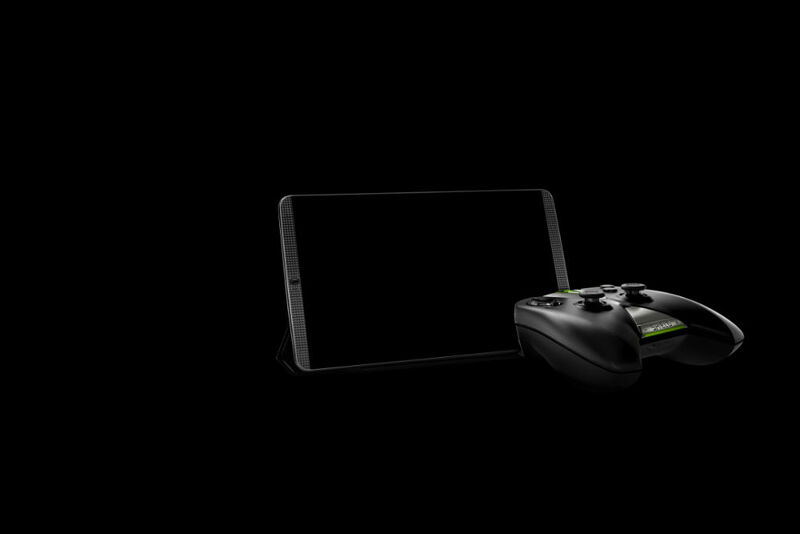 NVIDIA announced and released the SHIELD Tablet K1 this morning, essentially a re-release of the SHIELD Tablet, sans Stylus. Priced at just $199, this tablet comes with the same lineup of specifications as the original SHIELD Tablet, but by stripping the tablet of all accessories that would usually come packed inside the box, NVIDIA was able to meet an aggressive price point for arguably one of the better Android tablets on the market. For specs, the Tablet K1 features an 8″ (1920×1200) multi-touch IPS display, Tegra K1 processor, 16GB of onboard storage, microSD slot, HDMI 1.4a, 5MP front and back cameras, 2GB of RAM, front-facing stereo speakers, 19.75 watt non-removable battery, and Android 5.1.1. NVIDIA has a good track record with Android updates, so potential buyers can expect Marshmallow in the near future. Now, back to those accessories NVIDIA stripped from the packaging. When you buy this device, all that comes inside of the box is the Tablet K1 itself, nothing else. There is no AC adapter, no cables, no SHIELD Controller, no nothing. Everything is sold individually to keep cost of the device itself low. NVIDIA is selling a World Charger kit online for $29, which comes with chargers for the US, UK, EU, AU, and CN. The Stylus is also purchasable as an accessory, priced at $20. With no Stylus coming with the device, NVIDIA has reworked the SHIELD Tablet’s design a bit, but if you own the original SHIELD Tablet, then you will know exactly what to expect from the SHIELD Tablet K1 in terms of build quality. It it a sturdy, somewhat heavy little tablet, weighing in at 13.7oz. As for software, NVIDIA bakes in a few proprietary touches on top of Android 5.1.1, such as the ability to livestream gameplay to Twitch, plus the NVIDIA Dabbler app which you will need a stylus to use. In addition, you will find access to SHIELD Hub and GeForce NOW for all of your mobile gaming needs. The SHIELD Tablet K1 is available as of this morning, priced at $199 on NVIDIA’s website. But again, please note, you will need to already have a compatible charger for the tablet, or will need to purchase the World Charger kit for additional $29 because the SHIELD Tablet K1 does not come with a charger.